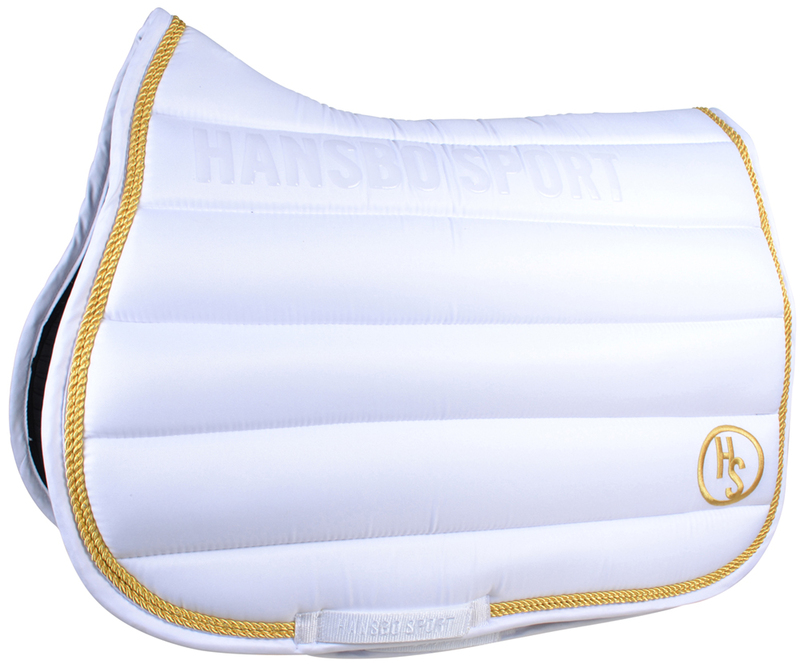 Dressage and jumping saddle pad with channel stitched lining in infused ceramic polyester, which prevents chafing and has the unique property that it increases blood circulation during use. The ceramic matter is fused into every fibre, unlike similar products, which means that function is not adversely affected after washing. 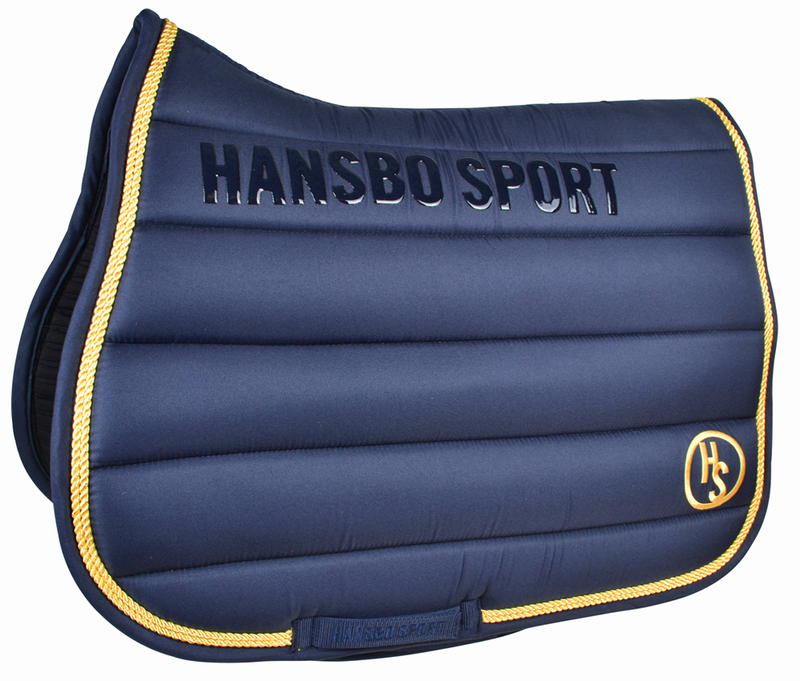 The filling in the saddle pad is 5 mm foam and 550 g/m2 polyfill, making this one of the market’s most stable saddle pad. Edging in the same colour as the channel stitched cotton quilt. 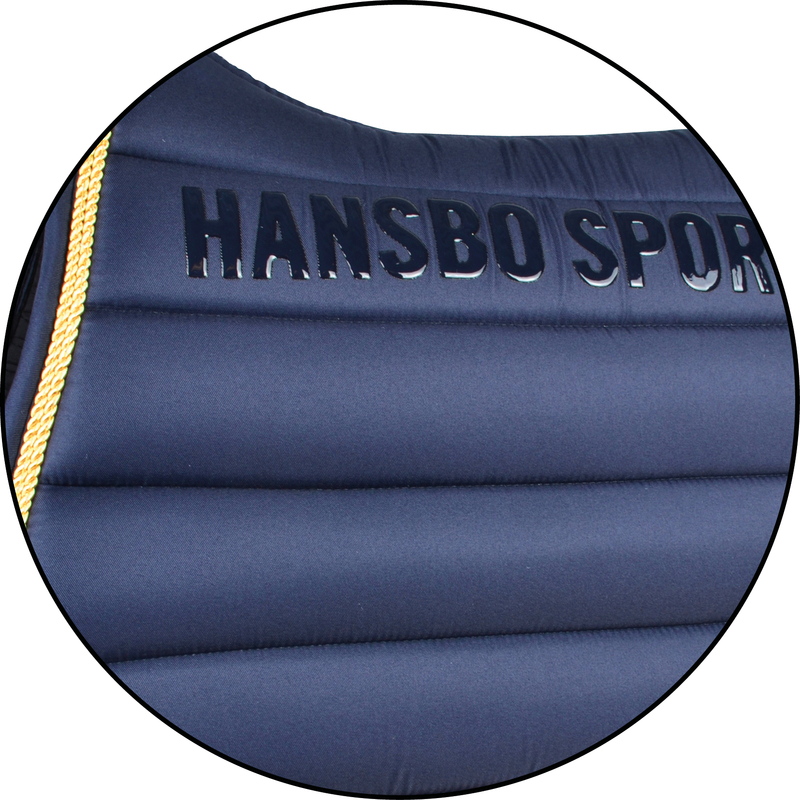 HANSBO SPORT logo in silicone to counteract the saddle pad moving during use. Two edgings in gold or silver, with Velcro fastener for saddle girth. 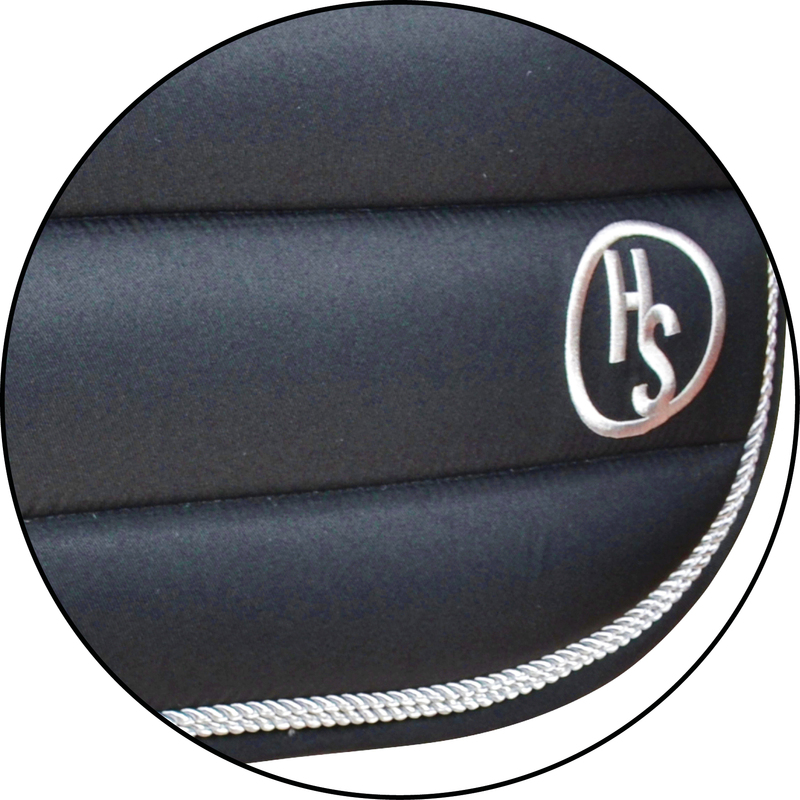 Embroidered HS logo in gold or silver. Wash at 40 °C / 104 °F. 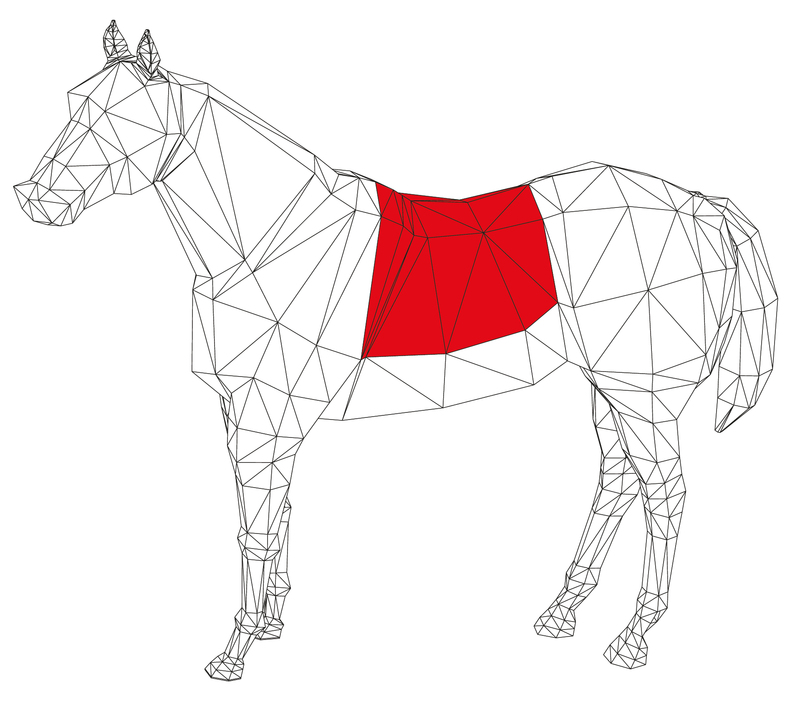 Silicon clutch which prevents the saddle from moving during use. 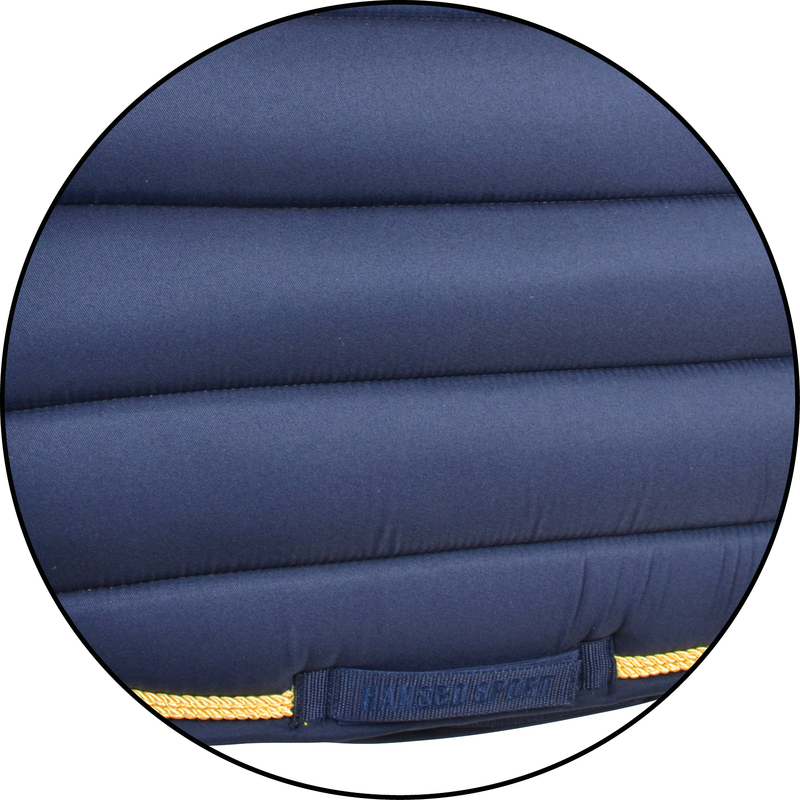 Practical Velcro fastening for saddle girth. 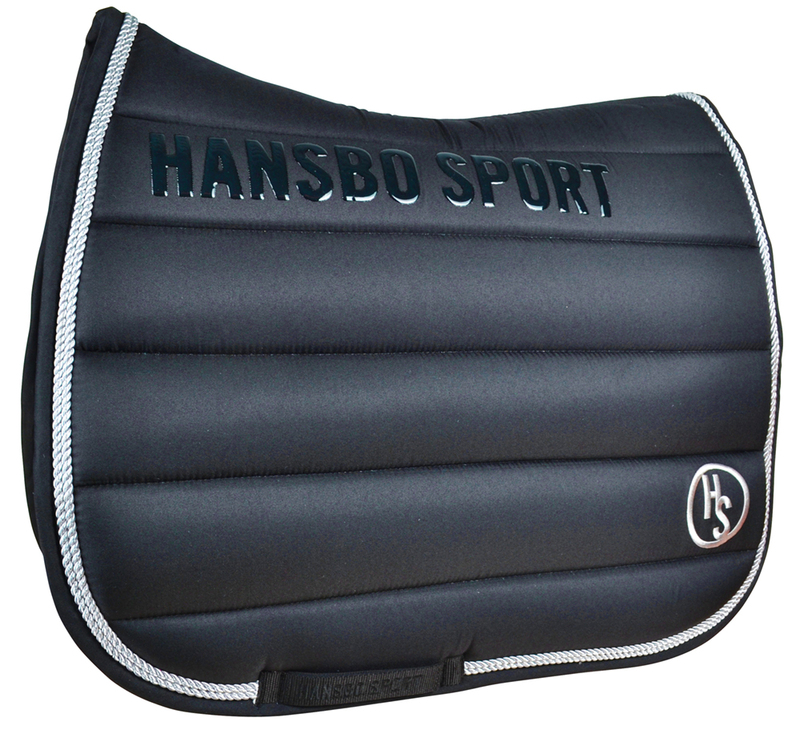 The filling in the saddle pad is 5 mm foam and 550 g/m2 polyfill, making this one of the market’s most stable saddle pads.